In December I teach my students about food and meal-taking customs in francophone countries. We learn about the importance of lunch time in France, different types of currency, how to order food, and how to pay for it. Just as I did recently with my family resources roundup, in this post, I will share some of my favorite food and meal-taking activities. You'll see a number of videos in this post; for showing students a little bit of the culture, short YouTube videos are my favorite. Awhile back, I blogged about this activity where students design their own French eatery. After we learn about cafés, restaurants, boulangeries, pâtisseries, crêperies, and glaciers, students pick their favorite and look at photos of real ones before designing their own. What better way to work with the vocabulary than with actual French-language menus. Some of the things I do: ask students questions about the menu in French (ball toss), have students answer comprehension questions in French as a homework assignment, give students a set of 4 menus, and a list of questions to ask each other about the menus. If you're looking for some menus to use, I've rounded up 20 authentic French menus. 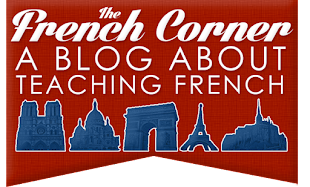 This past summer I blogged about how much fun we have when the owners of a local crêperie, Ravenous, come visit my classes. Students get to watch crêpes being prepared and order them in French! After showing my students the video below, I have them create a similar short sketch in groups for a French eatery and sing it to the class. It's more fun than just saying it! Some students may feel shy about performing, but I don't force anyone to perform for the class that doesn't want to. I also blogged about this fun activity where students visit various sites on Google Street View and answer questions about the menus they see outside the restaurants (for example "Combien coûte le pain oriental ?"). Unfortunately, Google recently eliminated Street View from custom maps, so I had to have students type in the addresses manually, but it still worked fine. I recently included this in my list of favorite new activities I tried in 2014. This is an idea from Steve Smith of Frenchteacher.net. He proposed having a game show à la The Price is Right, having students guess the price of various items. My students absolutely loved this activity. They worked in groups to guess the price of various items I had on the SMART Board, but they had to negotiate entirely in French. They also had to write their answer in a complete sentence, reinforcing the difference between il coûte, elle coûte, and ça fait. I had several students say to me at the end "J'aime l'activité !" Yes, another video! 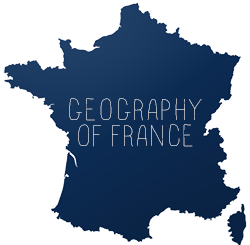 Although in English, this video offers a fascinating look at the food and customs surrounding school lunches in France. I use this to spark a discussion about the importance of lunch in France and how eating is just as much a social time as it is a necessity of life. Okay, I know, yet another video. I don't usually show so many videos in my class, but when it comes to food, there are so many gems lying around on YouTube that really give students a glimpse of the culture. This one I love because it shows how a country can take something American and put their own spin on it. They can see how, yes, McDonald's exists in France, but the experience is quite different than the one they are used to in the United States. What are your favorite activities for food and meal-taking? Please share in the comments! I read this article and have an idea about the different food taking activities. I saw all the shared videos but France's Gourmet School Lunches one of my favourite. This activity entertaining and I think I want to enjoy it to reach here personally just after completed my washington tours . I will go there with my Uncle's family.